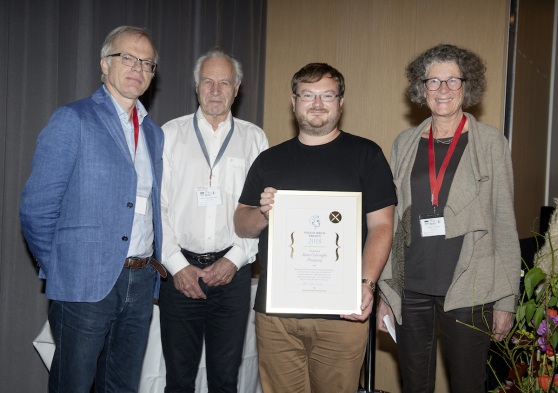 In September 2018 the Norwegian Mathematical Society celebrated its 100th anniversary at a national meeting of mathematicians held in Bergen. At the meeting, the society announced a new national prize, the Viggo Brun Prize. The prize is named after the noted number theorist Viggo Brun who became an honorary member of the Norwegian Mathematical Society in 1974. The 2018 laureate is Dr. Rune Haugseng (IBS-CGP Research Fellow), who receives the prize for his fundamental contributions to the theory of higher categories. Please follow the link below to see the prize.